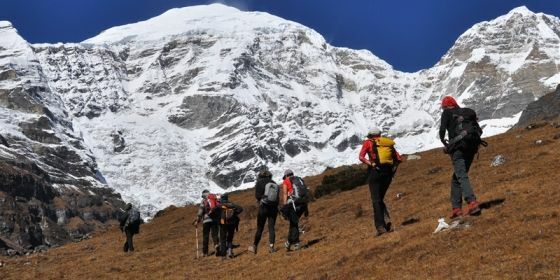 Of perhaps all outdoor activities that we indulge in, it’s trekking that gives the most adrenaline rush. You don’t have to be an avid traveller to enjoy the sheer thrill of seeking an undiscovered location when you can go on a long trek, you just have to be someone who loves going on adventures and treks at gorgeously scenic locations. The Inca Trail, located in the South American continent, in Peru is a hiking trail that terminates at Machu Picchu. Trekking through the Sacred Valley will make for an experience so thrilling, it is unrivalled anywhere around the world. No matter which season you choose to make this trek, the Inca Trail will welcome you to the coldest nights ever, so make sure you prep accordingly.